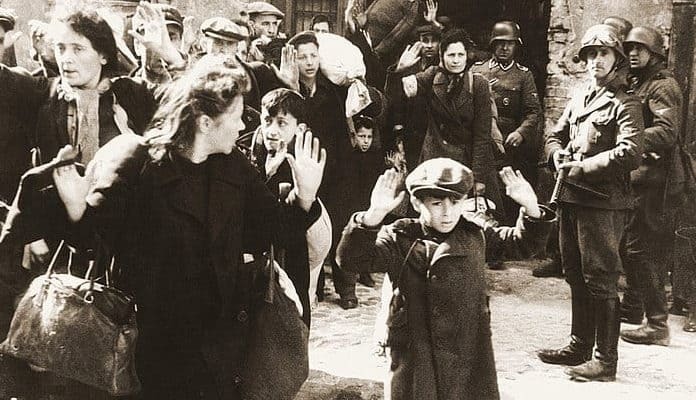 Western histories of the Second World War paid scant attention to the Warsaw Uprising of 1944 until late in the twentieth century, mostly due to a lack of primary sources of information. The Ghetto Uprising the previous spring was presented in detail, especially in studies of the Holocaust, but the organized Polish uprising in the summer of 1944, known of and authorized in advance by the Polish Government in Exile in London, as well as by the Soviet supported Provisional Government established in Lublin, was paid little heed. The Polish Uprising was not a locally planned affair limited to Warsaw. It was an organized offensive by the Polish Home Army, supported by civilians, and planned to receive military support from the Red Army and the Allied air forces. Josef Stalin had no intention of supporting the re-establishment of the pre-war Polish government following the liberation of Poland from the Germans, and ordered his forces not to advance into Warsaw and its environs until the uprising had been crushed by the Germans. As the fighting in Warsaw died down, Stalin finally allowed the advance of Communist leaning Polish forces, trained and equipped by the Soviets, to enter the city. Despite pleas of desperation from Winston Churchill to President Roosevelt (and Stalin) the Poles, who had been led to believe would receive support from the Big Three, instead received very limited aid. The only winner to emerge from the uprising was the Soviet Union, which gained territory and political influence at the expense of the Poles and the western allies. Here are twenty events which help explain how it happened. After Poland was partitioned by the Soviets and Germans following the 1939 invasions, the Polish pre-war government established a government in exile in London. It is a commonly held misconception in the west that the Poles were effectively out of the war after the success of the German blitzkrieg. In fact, Polish airmen flew with the RAF and other Commonwealth forces, Polish warships operated with the Royal Navy throughout the war, and Polish commando units fought at and following the Normandy invasion in the western theater of Europe. In Poland itself, the Home Army was formed out of numerous disorganized resistance groups in early 1942, and by 1944 had a total strength of approximately 400,000 fighters, supported by British and American supplies delivered via airdrops. Planning for an armed uprising across German held Poland was conducted in both London and Warsaw. The primary goal of the operation was the liberation of Warsaw from the Germans and the establishment of the Polish Government in London as the legitimate government in Poland. Planning for the operation had it timed to coincide with the Soviet thrust into eastern Poland as they continued their drive west against the Germans. Support from the Western Allies, via air power, was to be coordinated, among the British, Commonwealth, United States, and Soviet air forces. Stalin’s government did not recognize the Polish Government in Exile as legitimate, supporting instead the communist Polish Committee of Liberation, but he let it be known that the Red Army would support the uprising to the best of its ability.